Gourmet by Numbers and a Giveaway! Full Disclosure: Gourmet by Numbers approached me to try their service and offer a giveaway. I was not monetarily compensated for this post. 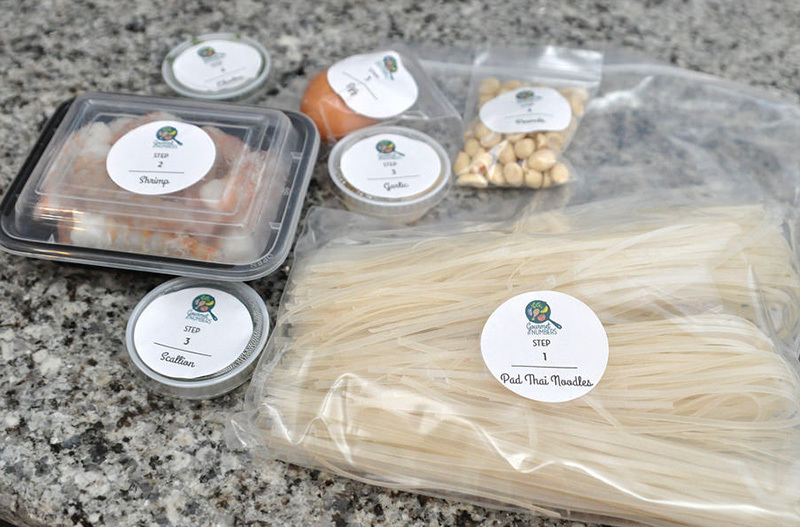 I’ve dabbled in meal delivery services before where portioned and uncooked ingredients of recipes were shipped to me. What I like about Gourmet by Numbers is that they do not ship nationally but deliver locally in Austin. I love supporting local businesses. 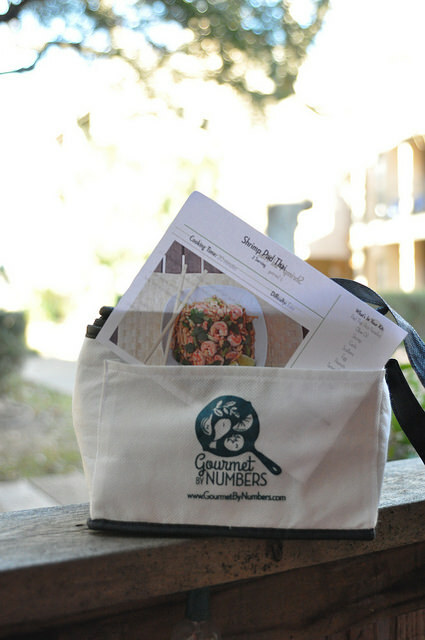 Gourmet by Numbers offer weekly subscriptions as well as the option to buy individual meals when desired. 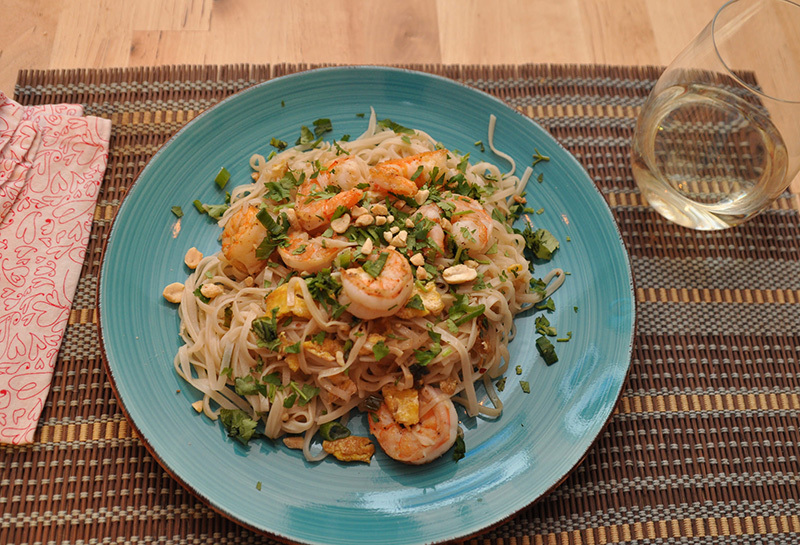 I chose the Shrimp Pad Thai from their expansive menu to make for Sugarface and me on a Friday night spent in. My meal kit arrived in an adorable cooler pouch. The kit should be good for up to 3 hours before having to be put in the kitchen in case you’re not home when it arrives. The best part about meal delivery services is how much time it saves from general cutting and prepping. It took me less than thirty minutes to get dinner on the table. My favorite part of cooking is the actual cooking so it was such a treat when I could throw on the garnish without having to rinse and cut. No shrimp peeling and deveining were necessary. I didn’t have to break out my cutting board! The only glitch was that the noodles were a tad overabundant for the amount of sauce in this particular recipe. That was easily fixed by throwing in some sauces I already had in my pantry. It was such a lovely Friday night evening in with Sugarface watching Nurse Jackie and couldn’t have done it without Gourmet by Numbers! Gourmet by Numbers would be great for those who live in Austin and don’t have time to grocery shop and still want to have home-cooked meals. So if you’re in Austin and would like a chance to win a meal from Gourmet by Numbers, check out my giveaway! This givesaway is open to anyone in Austin, Texas. Please check if you are within Gourmet by Numbers’ delivery zone. Keep in mind, they do have an option to pick up too! Do any of the following to earn entries. Each task will earn you a separate entry. Please leave a comment to tell me which ones you’ve done. Please also use your real email address. I promise I won’t spam you. This is so I can contact you if you win. Giveaway closes 5pm CST on Friday, Feburary 5th. I’ll announce and contact the winner soon after. Good luck! 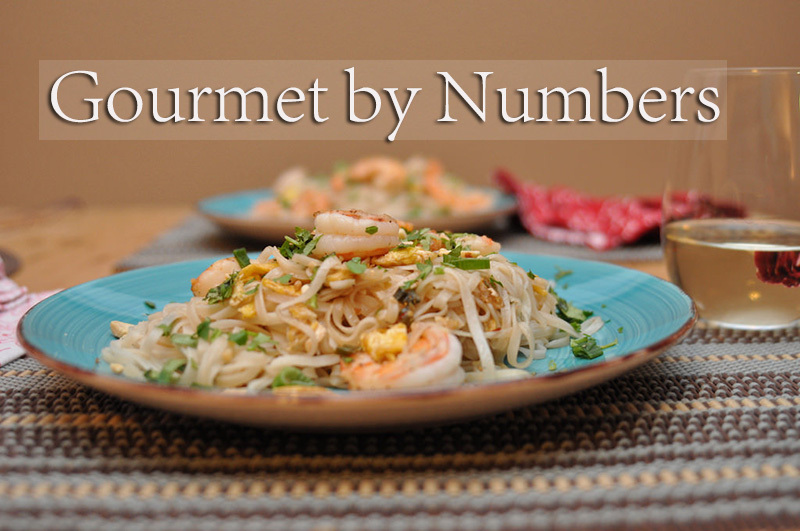 Visit Gourmet by Numbers and tell me in a comment which meal you’d like to try. Like Gourmet by Numbers on Facebook. Like Girl Eats World on Facebook. Follow Gourmet by Numbers on Twitter. Follow Gourmet by Numbers on Instagram.